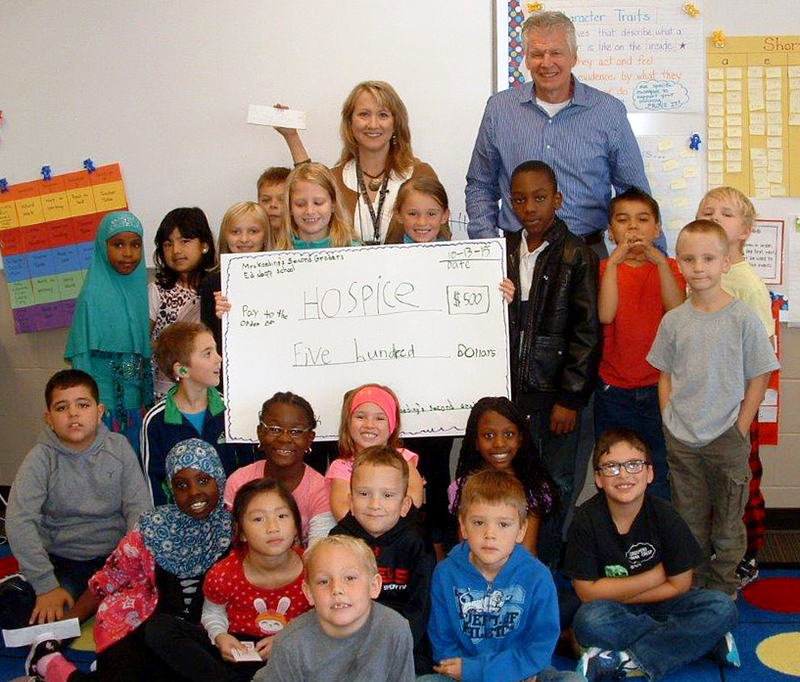 Second Graders from Colleen Kaeding’s class at Ed Clapp Elementary School in Fargo recently voted, as a class, to donate their Bell State Bank Pay it Forward money to Hospice of the Red River Valley. The class elected to donate $500 in support of Hospice. Thank you to all the students for their generous support! Wendy Tabor-Buth, bereavement manager, and Curt Seter, development officer, accepted the donation on behalf of Hospice of the Red River Valley.